Congratulations to Donna Sargent! You won the pair of tickets for the cruise on 8/14! OK folks, you have to be 21+ to win this one. Now that I have your attention….I introduce you to – The Rock & Blues Concert Cruise! How awesome does that sound! This incarnation of the cruise has been active since 2005. 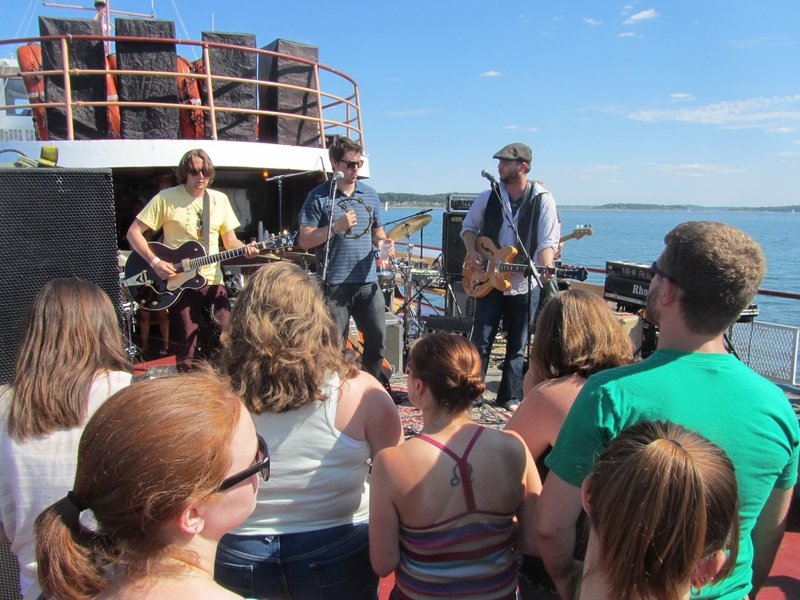 But new for the 2011 season, the Rock & Blues Concert Cruises has moved onboard the Provincetown II operated by Bay Sate Cruise Company. The new boat offers a top outdoor deck (weather permitting) for the concert area! This creates an extremely unique concert experience and is enhanced by a full concert sound system provided by one of the area’s top sound companies – Myrna Johnston Audio. 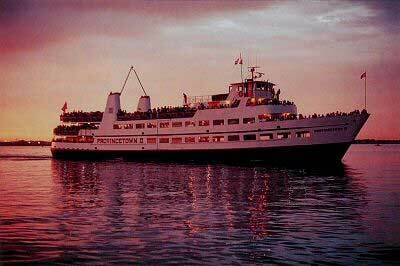 Imagine, cruising the beautiful Boston harbor, the fresh sea air, the amazing, unbeatable views, and seriously fantastic live music. It may just be Utopia! 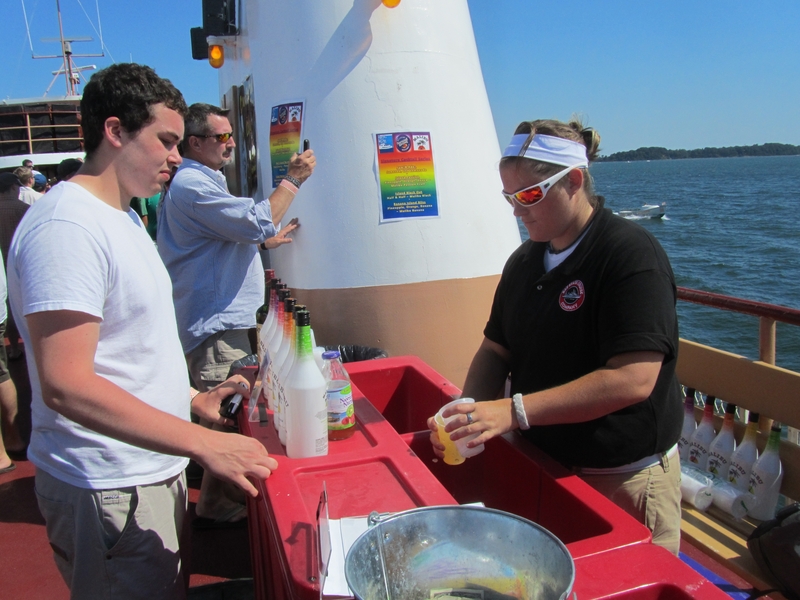 The staff on the Provincetown 2 is amazing and the boat is perfect– large open decks, plenty of bars to choose from, food available for purchase, large bathrooms, picturesque views, what more could you ask for! The cruises sail on Sunday afternoons at 3pm, which is really quite perfect – it really is the crown jewel on a fabulous Boston weekend! The 3pm cruise time is also late enough that you can do whatever you have planned on the weekend, but it’s not too late that you have to worry about work the next day! But wait, there’s more…the music! There are 2 cruises left for this summer. On August 14th Beetlejuice will be performing with Air Traffic Controller, and on August 21st Entrain will be performing with Sun Jones! If you would like to purchase tickets, I have a promo code for you! For the 8/14 show use the code “Ringo” and for 8/21 use “Drums” to purchase tickets for only $18! Or you could win a pair…. Winner will receive a pair of tickets to the August 14, 2011 cruise. Prize does not include transportation to and from the boat dock, nor does it include any expenses incurred aboard the cruise. Mandatory Entry: Leave me a comment assuring me that you are 21+ (they will check ID at the ticket pick-up) and why you rock! Bonus Entry: Follow me on Twitter and tweet “I want to Rock the Cruise thanks to @renh77 http://wp.me/pVsto-sV“. Leave me a comment letting me know you did so. 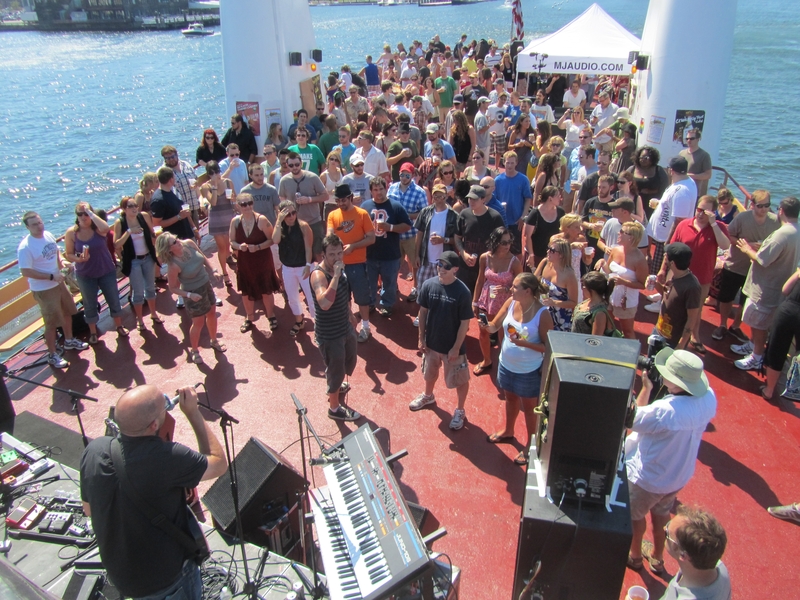 Bonus Entry: Like Rock & Blues Concert Cruise on Facebook. Leave me a comment letting me know you did so. Entry must be received by Sunday, August 7, 2011 at midnight. Winner will be announced Monday, August 8, 2011. If winner does not respond within 24 hours of notification, they forfeit their prize and a new winner will be selected. All photos in this post, unless otherwise noted, are courtesy of the Rock & Blues Concert Cruise. This entry was posted in Random and tagged air traffic controller, beetlejuice, blues cruise, boston, concert, concert cruise, Contest, cruise, entrain, music, provincetown 2, provincetown II, rock and blues concert cruise, sun jones, tourist, win tickets' by reneeh. Bookmark the permalink. I’ve also tweeted and liked Rock & Blues Concert Cruise on Facebook. Fingers crossed! I am most definitely over 21 and I rock because I am starting a new chapter in my life..and Rock & Blues Concert Cruises have been a big part of helping me accomplish that!! Music helps make everything seem better and being on a boat listening just adds another level to it!! I am definitely over 21 and I rock because no matter what the song, I’ll find a way to make a move, sing a lyric, you get the picture! I tweeted the giveaway and liked the Fan Page. Fortunately, I can assure you that I have been over 21 for 23 years now, a good thing in this case! I rock because I love to enjoy life and find humor in it even when you have to dig deep to find it! Oh lady I am definitely 21….and why do I rock? Um obviously because I can put away serious amounts od tuna tartar! Great giveaway! I just celebrated my birthday- 8 years after turning 21. I rock because I’m up for doing anything fun! I am definitely over 21! I rock because I am a father of twin boys who are nearly 3. I’m a teacher, so I am with the little wild ones all summer. When I go back to work, I will be with 30 8th graders. So, yeah I rock! !